Pining for the HTC Hero but don't want to move to Orange? Well, Vodafone subscribers are in luck because aside from the Vodafone Magic, another Android mobile phone will join Vodafone's smartphone portfolio come October: The HTC Tattoo. 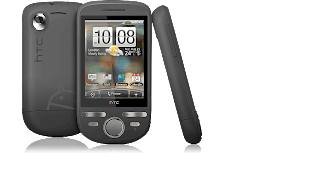 The HTC Tattoo is an Android Mobile phone for the mass market--think Samsung Omnia Lite, LG Cookie, Nokia 5530, and Samsung Tocco Lite. The HTC Tattoo sports a 2.8 inch resistive touchscreen, 3.2 megapixel camera, FM radio, 3G, GPS, and WiFi. From the pictures, it seems that the HTC Tattoo will run the HTC Sense UI, similar to the one found on the HTC Hero but from some of the videos on the net, it looks like the HTC Tattoo/Click is running the ordinary Android UI. You can pre-register at Vodafone if you want one.